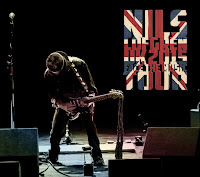 JP's Music Blog: CD Review: Nils Lofgren Showcases His Solo Work With "Face The Music Live"
CD Review: Nils Lofgren Showcases His Solo Work With "Face The Music Live"
American singer/songwriter/guitarist Nils Lofgren has been a part of the music industry for nearly five decades and last year, he was inducted into the Rock 'n' Roll Hall of Fame as a member of the E Street Band. His solo career took off in 1974 and ten years later he was invited by Bruce Springsteen to join his E Street Band, to which he is currently touring with, but that hasn't stop the release of new Nils Lofgren music. In 2014, Fantasy Records released a 9CD/DVD box set which collected his solo albums (review: jpsmusicblog.blogspot.com). 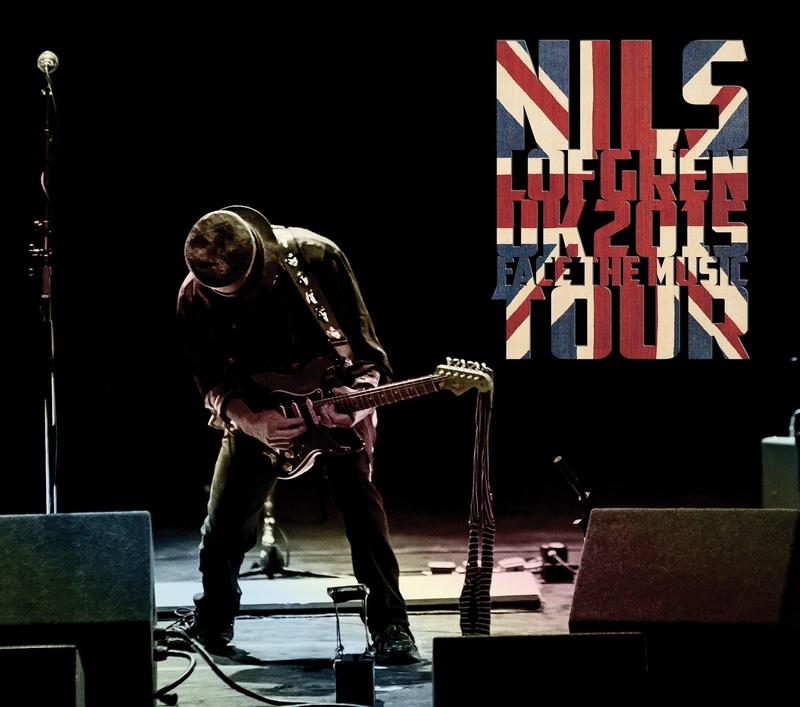 As a companion piece to that box set, Cattle Track Road Records has released "UK2015 Face The Music Live," which features a glimpse into Lofgren's 2015 U.K. tour. This new 15-song release contains music from throughout his solo career, beginning with the quiet, acoustic delivery of "Too Many Miles." Lofgren helps explain the meanings behind the songs like "Miss You C" and "Black Books" as Nils' stories are amazing to hear. He touches upon his first solo album with the solo piano rendition of "Goin' Back" and then thanks the audience with the heartfelt delivery of "Like Rain." The album finishes with one of his more famous solo songs "No Mercy" and the uplifting "Shine Silently." Look for Nils Lofgren on tour this year with Bruce Springsteen & The E Street Band as they perform Springsteen's 1980 album "The River" in its entirety. To find out more about Nils Lofgren and his solo career, please visit his Facebook page at facebook.com/nilslofgrenfans.